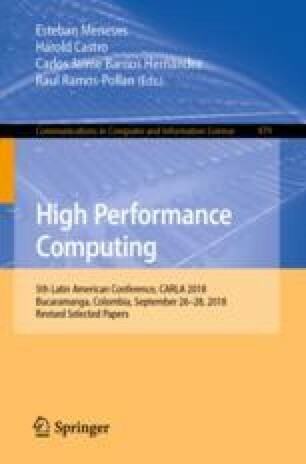 We address concepts and principles of the development, training, and use of applications in heterogeneous environments that integrate different computational infrastructures including HPC-clusters, grids, and clouds. Existing differences in the Grid and cloud computing models significantly complicate problem-solving processes in such environments for end-users. In this regards, we propose the toolkit named Orlando Tools for creating scalable applications for solving large-scale scientific and applied problems. It provides mechanisms for the subject domain specification, problem formulation, problem-solving time prediction, problem-solving scheme execution, monitoring, etc. The toolkit supports hands-on training skills for end-users. To demonstrate the practicability and benefits of Orlando Tools, we present an example of the development and use of the scalable application for solving practical problems of warehouse logistics. The study was partially supported by RFBR, projects no. 16-07-00931-a and no. 18-07-01224-a. Part of the work was supported by the Program of basic scientific research of the RAS, project no. IV.38.1.1.